DAVID LE/Staff photo. 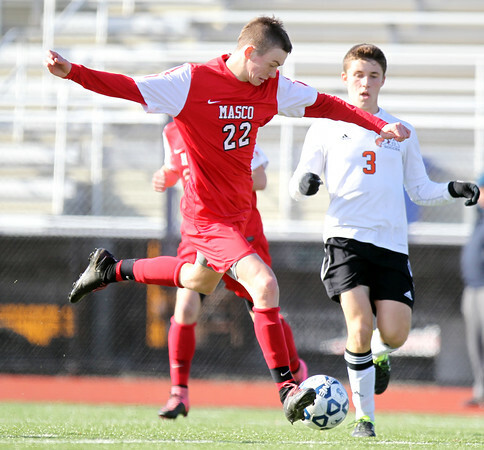 Masco junior Bryan Gilbert (22) rips a shot on net against Oliver Ames on Saturday afternoon. 11/21/15.